In continuing response to my new video I’ve been asked to comment on an article written by David Frawley entitled, Vedic Origins of the Zodiac: The Hymns of Dirghatamas in the Rig Veda. I’ll quote relevant sections and then comment. [In] the Rig Veda, the oldest Vedic text, there are clear references to a chakra or wheel of 360 spokes placed in the sky. The immediately surrounding verses make it clear that this wheel belongs to the Sun, and that it’s circle through heavens is a year, which is also divided in other ways, including six seasons. This clearly shows that ancient Indians divided the year into 12 months, 360 days, 720 days and nights, etc. Since the same lunisolar motion that creates 12 months of the year creates a zodiac of 12 equal signs it is not too far fetched to infer that the ancient Indian’s divided the Sun’s path over the course of the year (the ecliptic) into 12 divisions. This shows that the 12 Rg Vedic divisions of the ecliptic are sun-based, based on the movement of the Sun during the year – which is to say, they are tropical. that they symbolized them as we do, ram, bull, twins, etc. The hymns of Dirghatamas speak clearly of a zodiac of 360 degrees, divided in various ways, including by three, six and twelve, as well as related numbers of five and seven. We must remember that the zodiac is first of all a mathematical division of the heavens such as this hymn outlines. This is defined mainly according to the elements, qualities and planetary rulerships of the twelve signs. The symbols we ascribe to these twelve divisions is a different factor that can vary to some degree. Can not truly be called a “zodiac” because it is not invested with the mostly animal symbols that we ascribe to the 12 astrological divisions. The actual stars making up the constellation that goes along with the sign is yet a third factor. For example, some constellations are less or more than thirty degrees, but the mathematical or harmonic division of each sign will only be thirty degrees. What is important about the hymns of Dirghatamas is that he shows the mathematical basis of such harmonic divisions of a zodiac of 360 degrees. Thus, these references show that the twelve Vedic divisions of space/time are not divisions of stars into constellations. In other words, the hymns show that they are not sidereal. According to Dirghatamas Rig Veda I.155.6, “With four times ninety names (caturbhih sakam navatim ca namabhih), he (Vishnu) sets in motion moving forces like a turning wheel (cakra).” This suggests that even in Vedic times Vishnu had 360 names or forms, one for each degree of the zodiac. A fourfold division may correspond to the solstices and equinoxes. This is brilliant. Vishnu causes time to turn on a wheel with 360 days/degrees, divided into four groups of ninty – and these four divisions are the solstices and equinoxes – further evidence that the Vedic 12-fold wheel is tropical. The Surya Siddhanta gives a similar view of the zodiac originally divided in four parts. My video explains this. Elsewhere Dirghatamas states, I.164.36, “Seven half embryos form the seed of the world. 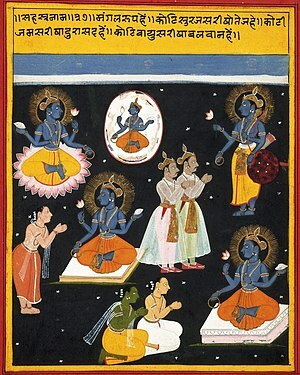 They stand in the dharma by the direction of Vishnu.” This probably refers to the seven planets. Dr. Frawley, in my opinion, has made a brilliant presentation giving the most plausible demonstration I have ever heard that the ancient Vedic people of India conceived of the year (and thus the ecliptic) in 12 divisions, connected with seven planets. Perhaps unintentionally he has also brought to light that these divisions are relative to tropical anchors: solstices and equinoxes. The zodiac in Vedic thought is the wheel of the Sun. It is the circle created by the Sun’s rays. Indeed, the Vedic 12-fold division of space is tied to the Sun (tropical), not to stars (sidereal). …in Astronomy Before the Telescope, C. Walker (ed. ), St. Martin’s Press, New York, 1996, pps. 123-124, Pingree suggests that Mul. Apin, Babylonian tablets that date from 687 to 500 BC has “’an ideal calendar’ in which one year contains 12 months, each of which has 30 days, and consequently exactly 360 days; a late hymn of the Rgveda refers to the same ‘ideal calendar’. And Mul.Apin describes the oscillation of the rising-point of the sun along the eastern horizon between its extremities when it is at the solstices; the same oscillation is described in the Aitareya Brahmana.’” This ideal calendar is the basis for the zodiac and its twelve signs at a mathematical level. Clearly Pingree is referring to Rig Veda I.164 as his ‘late’ hymn of the Rig Veda. This is exactly what I was saying about Mul.Apin in my video. This seems to be the main point of Mr. Frawley’s article, which is not really a debate that significantly thrills me. In my opinion the beautiful fundamental principles of astrology have a superhuman source and were comprehended by humans in the krta and treta yugas, well before any Greek, Babylonian or Rg Vedic culture existed. Clearly the Vedas show the mathematics for an early date for the zodiac as well as the precessional points of these eras long before the Babylonians or the Greeks supposedly gave them the zodiac. Mr. Frawley makes a significant point for the antiquity and indigenous status of 12 divisions of the ecliptic in Indian. He did not demonstrated that the 12-fold zodiac was used for prognostication (“foreknowledge”) prior to Babylonian and Greek influence. Nor is it really explicitly clear anywhere in the Veda, to my knowledge, that any form of astrology was used from prognostication. The records, so far as I have seen, only demonstrate calendrical usage. I would like to hear Mr. Frawley give evidence for the use of astrology as a means of prognostication in ancient India. Please note that I am not embracing any side of the argument, merely asking for a discussion on the topic. The Rig Veda has another cryptic verse that suggests its cosmic numerology. According to it the Cosmic Bull has four horns, three feet, two heads and seven hands (Rig Veda IV.58.3). This sounds like a symbolic way of presenting the great kalpa number of 4,320,000,000 years. This is a very interesting note to end on, and raises a significant contention regarding the calculations of Swami Sri Yukteshwar.